This article is about the evolution of Pak Hok Pai in Australia. In particular, to elaborate its tradition, spirit, significance, internal management transformation, global expansion, and effects. I arrived in Sydney, late December 1960 from Hong Kong, to pursue tertiary education and am now a pharmacist and lawyer by profession. The late Grandmaster Chan Hak Fu (陳 克 夫) emigrated to Sydney with his family at the end of 1970 from Hong Kong. Grandmaster Chan was world-renowned in Chinese martial arts and was highly revered in Pak Hok Pai kung fu (白鶴派功夫). 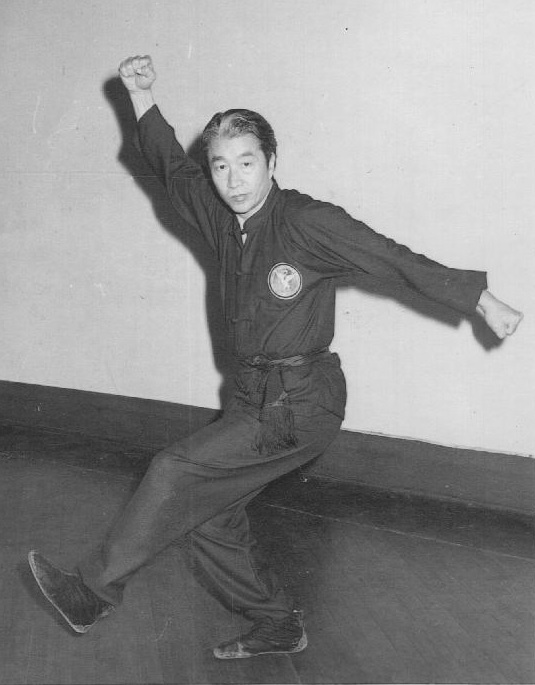 In early 1971, Grandmaster Chan decided to teach Pak Hok Pai kung fu in a hall situated on the 2nd Floor of the Kuo Min Tang (國 民 黨) premises of the Chinese Nationalist Party (75 Ultimo Road in Haymarket Sydney - near Chinatown), which had a statue of Dr Sun Yat-sen (孫 中 山 - The Founding Father of the Nation of China) at the front section of this hall. The very first group of students accepted by Grandmaster Chan consisted of Marco Szeto, Edmund Lee, and myself. We were later joined by Peter Kuo ( 阮 健 枂), the late Peter Chan (陳 植 培), and others. Edmund Lee did not stay with us. Training classes were conducted in the evenings on Monday and Wednesday from 8 to 10 pm ; in the mornings on Tuesday and Thursday from 9 to 11 am, plus Sunday afternoon from 2 to 4 pm. Morning classes were to suit students who work in the evenings, such as in restaurants. I was assigned responsibility for the evening and Sunday afternoon classes, and Peter Kuo attended the morning classes. The first disciples named by Grandmaster Chan in 1971 were consisted of two groupings - Peter Kuo and Marco Szeto; Peter Chan and myself. Each disciple was given a specific name consisting of two Chinese characters in accordance with Pak Hok Pai tradition. The order of the disciples in the same section corresponds to their age. The first character represents the order of generation and the second character denotes the purpose and responsibility expected of the disciple. Grandmaster Chan selected a motto of Dr Sun Yat-sen, which is by sound Kiai Woun Hoi Loi (繼 往 開 來) meaning Continuing the Past; Commencing the Future. We are of the third generation as determined by Grandmaster Chan and by sound is Mun (滿) meaning Full. Peter Kuo's Pak Hok Pai given name is Mun Kia(滿繼)and mine is Mun Loi(滿來), meaning Fulfilling the Future. Later on Sun Lee, Henry Tong, Tai Lee, Edward Lee, Harry Fong, John Chan, Andrew Lam, Stanley Ma, and Stephen Yep became disciples, and I was their leader at the induction ceremony. When one becomes a disciple, he or she becomes the son or daughter of the father following family tradition and culture. Sifu's sons Jimmy and Warren trained with us. Meanwhile we learnt from Sifu in the hall; some evenings on the concrete floor at the back in Sifu's house; sometimes pre-dawn training in Centennial Park in Sydney. There were occasions when Sifu taught only one selected disciple at one particular time in private. The formation of an association was fully discussed with Sifu and all the disciples. It was duly incorporated in 1972 with my pharmacy address as the registered address of the Association. Sifu, as always, remained the Founder and the President. I was the first Vice-President, but was given the capacity and authority to act as the President. To mark the occasion, portraits of the President and Vice-President were displayed on a wall in the training hall. Furthermore, Sifu and I assumed a Pak Hok Pai kung fu posture in the images to convey our status. Sifu performed the White crane testing the water, and I displayed a posture from Chin Bo Kuen (箭 步 拳) symbolizing Shouldering and safeguarding the Association. These posture pictures were placed at each end of the wall in the training hall. The Association has four first trustees; namely Sifu, myself, Henry Tong, and Marco Szeto. The trustees are to be replaced only in the event of leaving the association, physical health and mental health issues, criminal activities, or death. The words "Kung Fu" are included in the registered Association's name in English (Pak Hok Kung Fu International) because we were the first to establish an official registered kung fu association in Sydney. Most notably, Pak Hok Kung Fu International was introduced by, and under the guidance of, a genuine and recognized Chinese kung fu master from overseas. However the Chinese name 國際白鶴派拳會 signifies the ultimate goal of an international Pak Hok Pai organization, where it is not to be individualized for personal interests, gains, or benefits. The Association flourished at the time when kung fu and kung fu movies by actors Bruce Lee and Jet Li, magazines and television series such as Kung Fu by David Carridine, became very popular and fascinating to Western society and popular culture. We had numerous newspaper and magazine interviews about our Association. Marco left the Association sometime in 1973, and Graham Kuo joined us around that time. Non Chinese students began to join our Association, and the number of students grew very rapidly. Our first official exhibition was held at the University of New South Wales on the 26th of February, 1974. Graham Kuo, Roy Dundon, Gary King, and Kerry Cox were senior students who are still with the City group. They trained in my class for a number of years in the early days of the Association. In 1976, through my personal connections, we were able to relocate our training premises to 319 Sussex Street; also close to Chinatown. Some evenings, when disciples would finish work in restaurants, they would still come to train with Sifu and myself. Often we finished classes close to mid-night, and went for supper together. Most of these disciples are now retired, but we still maintain in contact. 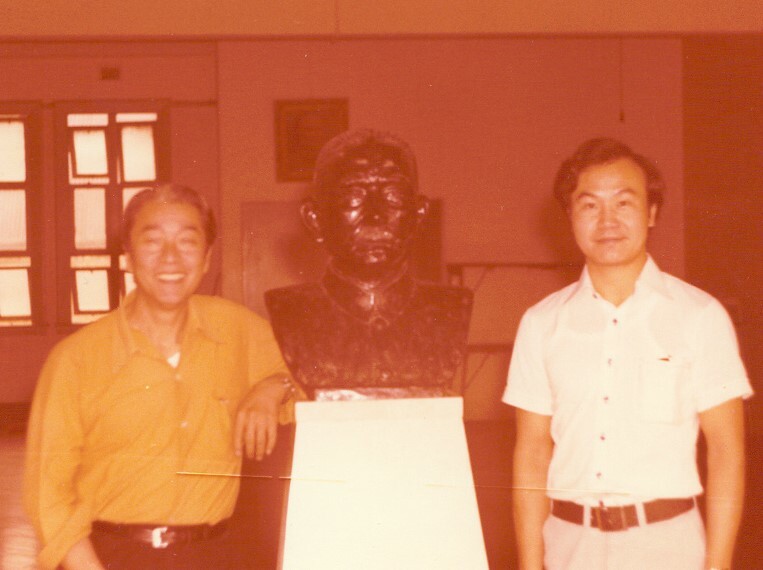 Sifu left Australia at the end of 1976 for Hong Kong and then Macau. Subsequently he went to New York City in 1977 to promote Pak Hok Pai. I was honoured and privileged to be appointed as his direct representative of Pak Hok Pai in Australia by Sifu when he left Sydney. Two international branches were officially established; one in New York on 9th of February 1977, and the other in San Francisco on 30th July 1977 respectively. I was invited to attend both of their openings. The magazine Secrets of Kung Fu (功 夫 秘 奧) published three separate articles about Sifu, with Sifu on the front cover. They were Vol. 2 # 1 1976; Vol. 2 # 4, 1976 and Vol.2 # 9, 1978 respectively. A charity martial arts event was organized by Sifu in New York to aid the construction of a large kitchen catering for elderly Chinese people in July 1978. Warren also joined Sifu at that time. There was also an International Martial Arts Exhibition organized by Sifu on February 16th and 17th, 1979 in the Oakland Auditorium Arena, California. Our Association was affiliated with the N.S.W. Kung Fu (Chinese Martial Arts) Association in 1977. The latter was subsequently incorporated as the N.S.W. Chinese Martial Arts Association Limited in September 1983. I served as the President and the Principal Executive Officer in both Chinese martial arts associations, until my resignation in 1988. All Chinese martial arts association’s meetings were held in our 319 Sussex Street premises. We promoted the Chinese martial arts association to the public collectively by holding annual exhibitions and full contact tournaments, mostly at Sydney Town Hall. The first tournament was held in 1980. The 7th tournament was held in Sydney Town Hall in April 1987 to mark the coming bi-centennial celebration of Australia in January 1988. The 9th tournament was held at the Sydney Entertainment Centre in 1991, and I was a Guest of Honour. We also introduced a female division in one tournament. There were numerous newspaper interviews and television programs involving the Chinese martial arts associations. 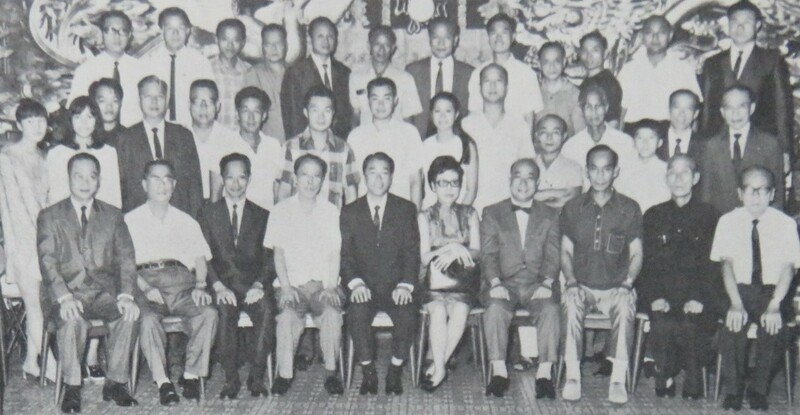 Traditional association members at that time included Pak Hok Pai, Yau Kung Mun, Choy Lee Fut, Tang Shou Tao, Shaolin Wu Chu Chuan, Pac Mee, International Wing Chun, Luk Hup Baat Faat, Chow Gar, Chang Chuan, and Tai Chi Mun. The prerequisites to be an ordinary member with voting rights in the N.S.W. Chinese Martial Arts Association required that the applicant must be the duly appointed representative of an authentic traditional Chinese martial arts association or organization, regardless of incorporation status, whose objectives are similar to those of the N.S.W. Chinese Martial Arts Association. 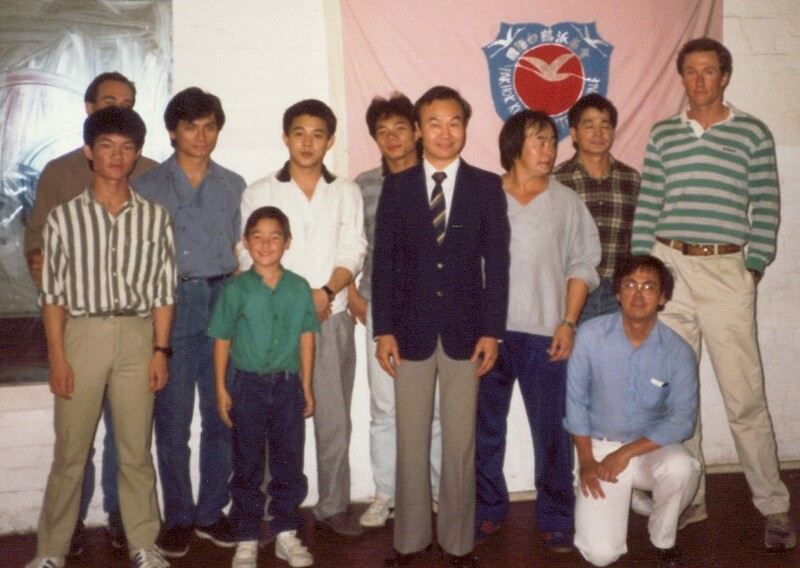 Apart from the traditional association members, the Associate members before 1983 were Jin Wu Koon, Kick Kung Fu, and Lawrence Lee's School. The N.S.W. Chinese Martial Arts Association was eventually affiliated with the Hong Kong Chinese Martial Arts Association as a Group Member, and in 1982 the Australian Team participated in the 6th International Chinese Martial Arts Invitation Tournament in Hong Kong. 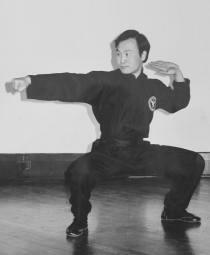 I was the Co-Leader with Master Leung Cheung of Yau Kung Mun. I was also involved in the initial formulation of the National Coaching Accreditation Scheme and the N.S.W. Department of Sport and Recreation. The aim was to provide all qualified martial arts instructors with essential human anatomy, physiology, kinetic theory, first aid knowledge, and updated training skills. 6th International CMA invitation tournament in Hong Kong 22-28 Nov 1982. 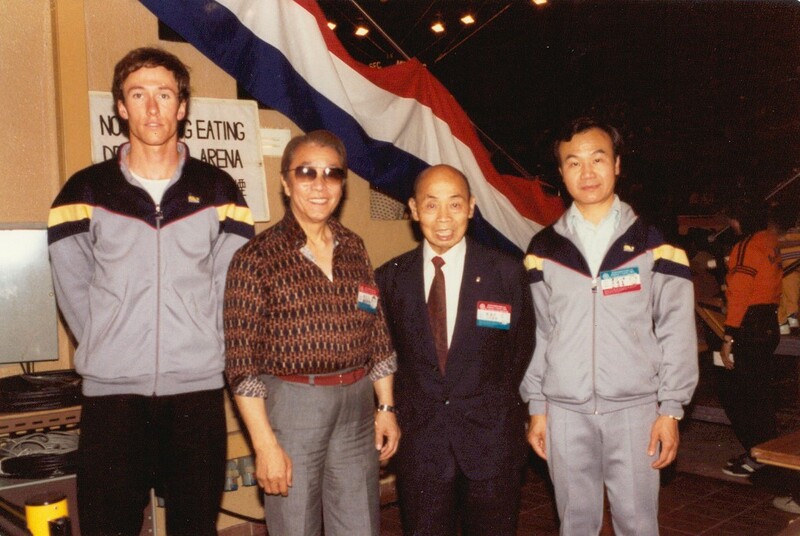 China's Wu Shu champions and delegates, along with Jet Li, came to Sydney in July 1987. The N.S.W. Chinese Martial Arts Association organized a banquet for them in a Chinatown Chinese restaurant. The champions, delegates, and Jet Li were accompanied by representatives of the N.S.W. Chinese Martial Arts Association who also visited our training premises. It is evident that Pak Hok Pai in Australia has contributed to the success of promoting Chinese martial arts in New South Wales, and to the Department of Sport and Recreation. More importantly, Pak Hok Pai in Australia has also promoted other traditional Chinese martial arts associations, and worked for their recognition as well. Sifu came back from overseas to Sydney on several occasions. He attended the N.S.W. Chinese Martial Arts Association 1981 tournament in Sydney Town Hall as our special Guest of Honour and Chief Judge. However Sifu eventually established his Chinese medicine clinic in Macau in 1989, and has settled there ever since. I was heavily occupied by my pharmacy business, as well as taking charge of the evening classes in the city. There was also the management and promotion of the N.S.W. Chinese Martial Arts Association and our Association after the relocation of the training premises to 319 Sussex Street. Sihing Peter Kuo looked after the other classes. Meanwhile, I also conducted training classes some evenings at various community halls and local centres in Fairfield, Villawood, and Cabramatta. Joce Santa Maria joined my Fairfield class around 1983, and is now my authorized Pak Hok Pai Australia liaison officer who coordinates our contact with international Pak Hock Pai organizations such as the Singapore, Malaysian, and the Philippines associations. Joce is my representative as required. In 1988, after my resignation from the N.S.W. Chinese Martial Arts Association, Sihing Peter Kuo approached me to inform me that he wished to run his own school. We agreed that he was to have complete control of the City group, and for myself to expand Pak Hok Pai to Western Sydney areas. Nevertheless, both groups remain as entities of Pak Hok Kung Fu International. Although this is an internal management transformation process, I ensure that our students follow the tradition and spirit of Pak Hok Pai, and that Sihing Peter Kuo is always regarded as "Sibak Kuo". In 1998, I concluded that Pak Hok Pai Australia should have its own entity. It serves as a foundation block for the establishment of a World Pak Hok Pai organization. Since the implementation of our grading system in 1989, qualified and approved instructors are permitted to conduct training classes at selected venues. Joce was instrumental in establishing training classes in Campbelltown and other venues. It is through him that the Association is still successful. Most importantly, the stability of the Association in the Western Sydney area has been maintained. Subsequently, Pak Hok Pai Australia was officially incorporated in 2002. Jeffrey Fricot, a senior student of Joce, is now Joce's deputy. Jeff and his committee members are managing the Association, and have contributed much success to the Association as well. There was a grand opening event for Pak Hok Pai Australia at the present training premises (6 Frost Road, Campbelltown) in October 2008. Many special guests attended, including representatives from Singapore Pak Hock Pai and other Chinese martial arts associations in Sydney, plus Sihing Peter Kuo and Warren Chan. There were also representatives from the local council and certain government departments. In relation to overseas participation, Pak Hok Pai Australia have been invited to attend several gala celebration events. Most recently we attended the 70th Anniversary Celebration of the Singapore Pak Hock Pai Athletic Association in September 2017. As far as the "World Pak Hok Pai" is concerned, Sifu and I had numerous discussions on many occasions long before he passed away peacefully on 27th of July 2013, aged 96 in Macau. I was assigned to draft the preliminary constitution, and it has been completed for a number of years. We planned to promote and discuss the concept to all established Pak Hok Pai associations but it has never eventuated. Nevertheless, it remains the world vision of Pak Hok Pai and Sifu's legacy. Ultimately it is up to all eligible Pak Hok Pai associations to strive to attain this goal together. It is essential that liaison, unity, and mutual respect amongst all established Pak Hok Pai associations must be restored,strengthened and maintained in order to uphold and foster the true tradition and spirit of Pak Hok Pai across the world.